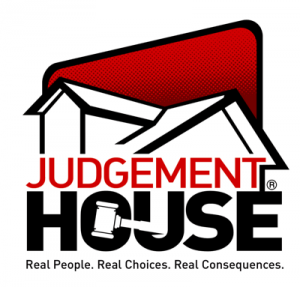 Judgement House is a walk-through drama that presents the truth of people’s choices versus the consequences of those decisions both in this life and the next. October 2018 will be the twentieth year for Judgement House at First Baptist Loretto! Updates and details for Judgement House 2018 will be added to this page when available. Please add Judgement House to your prayer list. God is doing great things through this ministry. There were some surprising twists in last year’s “Payback”. What will you discover in this year’s Invasion – Shattering Your Sense of Security? Click Here to read/download the 2017 Judgement House Flyer.